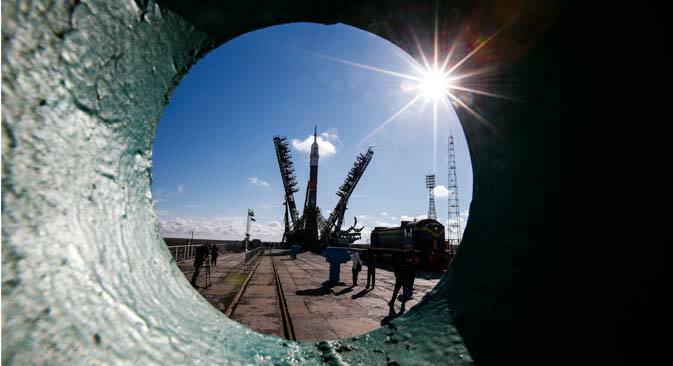 In a billion dollar boost to Russia's national space agency, Roscosmos, Soyuz launch rockets will put hundreds of light-weight satellites into orbit over the next five years to help bring Internet access to people in ever corner of the planet. The $1billion deal with OneWeb and launch service operator Arianespace will see 648 micro-satellites placed in near-Earth orbit by 2019. Russian Soyuz rockets will carry many of the small 150 kg modules. The project - which also involves Airbus, Coca-Cola and Virgin Group - is driven by an urge to make the earth a global Internet village, with super fast broadband access available everywhere, from the most remote mountain communities to the vast steppes of Mongolia. Backers also include Indian group Bhari Enterprises. In an intensely competitive race to connect the world, OneWeb has stolen the march on Google and Facebook, which both also said they would bring the Internet to developing countries. Experts say there is a simple reason - the scale of the project. “They simply had no other choice,” Ivan Moiseyev, head of Russia's Space Policy Institute told RBTH.